One piece cast aluminum wheel. Styled to look like the original Magnum 500 wheel. 15 x 7 size with proper 4.25" backspacing. Precision cast with high quality black finish in the spoke pockets. 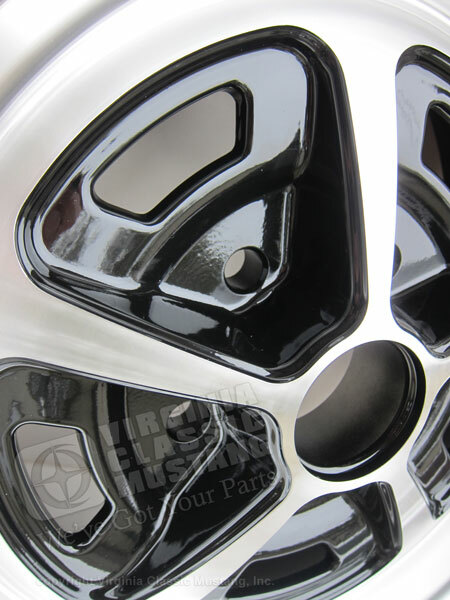 Spokes and rim feature a super nice machined cleared finish. 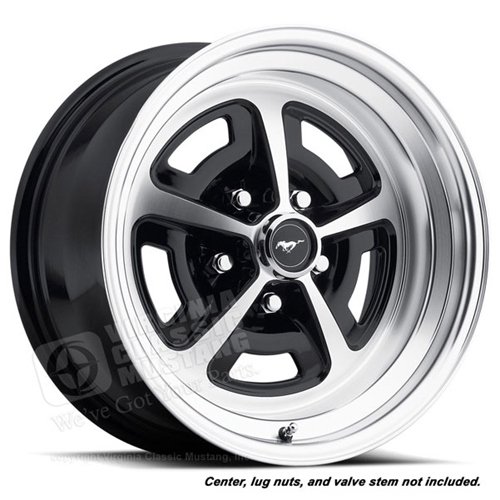 Much, much lighter than the original Magnum 500 wheels. They look great in the picture, but it is amazing how well they look in person. These are definitely one of our favorite parts. Centers and lug nuts sold separately.